Why Should Landlords Consider Loss of Rent Cover? New to the buy-to-let business? Chances are you’ve investigated the various insurance options open to landlords, particularly buildings and contents cover. However, there’s another type of policy that can also be incredibly useful – loss of rent. Loss of rent policies pay out in the event that something occurs to make the property uninhabitable for tenants, such as a fire, flooding or extensive damage to the structure that will require those living there to seek temporary accommodation elsewhere – and therefore stop paying rent. While taking out this specific type of insurance isn’t a legal obligation, it’s something that more and more landlords are seeing as essential to minimise the risk of their rental income dropping should the unexpected happen – especially for those with large portfolios generating their only source of revenue. It’s worth noting that the policy won’t pay out if the property is uninhabitable for renovations that aren’t necessary following some kind of damage/disaster, e.g. updating a kitchen or repainting the bedrooms. Most plans do, however, cover damage by bad tenants who purposefully treat the property poorly. Some also cover any rent lost due to inhabitants having to move because they can’t access their home as a result of damage to neighbouring houses or flats, although you will have to check that this is included when collecting quotes for loss of rent landlords insurance. Note that policies won’t cover any compensation due to the tenant for the inconvenience of having to move out. Won’t my buildings insurance cover all of this? No. Buildings insurance only covers the cost of rectifying any damage caused by certain events, while loss of rent policies pay out the income lost due to said damage. The good news is that many providers of specialist landlords insurance will offer loss of rent cover as an optional add-on to their buildings and/or contents policies, so it’s likely you’ll be made aware of this when taking out other insurance. 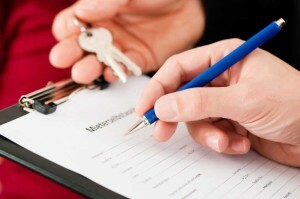 Do loss of rent policies cover non-paying tenants? No. There is a separate policy offered by some companies, known as rent guarantee insurance, that covers such instances. However, it can be pricy, so think carefully about whether you actually need this – especially if your tenants come out favourably in credit checks during the application process. Are there any other exclusions or issues to be aware of? As with all other insurance policies, the extent of the cover provided by loss of rent products can vary from provider to provider, but as a general rule they won’t pay out if the inconvenience affects the landlord rather than the tenant, or if there’s a way the tenant can still stay in the property even after a disaster. For example, if flooding has affected one bedroom of a ground floor flat and made it uninhabitable, but the tenant can stay in another empty bedroom while repairs are being made, then the insurance policy won’t pay out. It’s also worth bearing in mind that if you do need to make a claim, you’ll have to provide a copy of the lease to show your rental loss, as it’s your responsibility as the landlord to demonstrate this. So, is loss of rent cover really worth it? You should seriously consider taking out loss of rent insurance if you rely on your portfolio for most or all of your income, as losing even a month’s worth of rent could have a significant impact on your own finances. Just bear in mind the points above about when this type of policy won’t pay out, as it’ll be up to you to put a financial safety net in place if any of these other events occur and you lose rental income as a result.